Groundbreaking technology takes the new Mercedes-Benz E-Class Sedan to unexplored territory. Pioneering Car-to-X safety connectivity combines with PRESAFE® Sound, PRESAFE® Impulse Side, and upgraded DRIVE PILOT intelligent cruise control, and a wealth of comfort and convenience features enhance every last second of your drive. You can find this 2019 Mercedes-Benz E-Class E 300 and many others like it at Mercedes-Benz of Boerne. This Mercedes-Benz includes: BURL WALNUT WOOD TRIM Woodgrain Interior Trim HEATED FRONT SEATS Split Bench Seat Heated Front Seat(s) Fixed Bench Seat Bucket Seats MACCHIATO BEIGE HEADLINER BLACK BLIND SPOT ASSIST Blind Spot Monitor WHEEL LOCKS (PIO) Wheel Locks HEATED STEERING WHEEL Heated Steering Wheel COMFORT BOX (PIO) REAR SEAT ENTERTAINMENT MACCHIATO BEIGE/BLACK, MB-TEX UPHOLSTERY Vinyl Seats Cloth Seats Leather Seats Premium Synthetic Seats SPORT PACKAGE LOWERED SUSPENSION W/SELECTIVE DAMPING SYSTEM PREMIUM 1 PACKAGE Keyless Start HD Radio Hands-Free Liftgate Satellite Radio Power Door Locks Keyless Entry Remote Trunk Release WHEELS: 18 5-SPOKE (STD) Aluminum Wheels PARKING ASSISTANCE PACKAGE Automatic Parking Back-Up Camera 115V AC POWER OUTLET BURMESTER SURROUND SOUND SYSTEM Premium Sound System *Note - For third party subscriptions or services, please contact the dealer for more information. * There's a level of quality and refinement in this Mercedes-Benz E-Class that you won't find in your average vehicle. Beautiful color combination with Black exterior over Macchiato Beige/Black interior making this the one to own! Look no further, you have found exactly what you've been looking for.You can find this 2019 Mercedes-Benz E-Class E 300 and many others like it at Mercedes-Benz of Boerne. This Mercedes-Benz includes: BURL WALNUT WOOD TRIM Woodgrain Interior Trim HEATED FRONT SEATS Split Bench Seat Heated Front Seat(s) Fixed Bench Seat Bucket Seats MACCHIATO BEIGE HEADLINER BLACK BLIND SPOT ASSIST Blind Spot Monitor WHEEL LOCKS (PIO) Wheel Locks HEATED STEERING WHEEL Heated Steering Wheel COMFORT BOX (PIO) REAR SEAT ENTERTAINMENT MACCHIATO BEIGE/BLACK, MB-TEX UPHOLSTERY Vinyl Seats Cloth Seats Leather Seats Premium Synthetic Seats SPORT PACKAGE LOWERED SUSPENSION W/SELECTIVE DAMPING SYSTEM PREMIUM 1 PACKAGE Keyless Start HD Radio Hands-Free Liftgate Satellite Radio Power Door Locks Keyless Entry Remote Trunk Release WHEELS: 18 5-SPOKE (STD) Aluminum Wheels PARKING ASSISTANCE PACKAGE Automatic Parking Back-Up Camera 115V AC POWER OUTLET BURMESTER SURROUND SOUND SYSTEM Premium Sound System *Note - For third party subscriptions or services, please contact the dealer for more information. * There's a level of quality and refinement in this Mercedes-Benz E-Class that you won't find in your average vehicle. Beautiful color combination with Black exterior over Macchiato Beige/Black interior making this the one to own! Look no further, you have found exactly what you've been looking for. This 2019 Mercedes-Benz E-Class E 300 is offered to you for sale by Mercedes-Benz of Boerne. This Mercedes-Benz includes: HEATED FRONT SEATS Split Bench Seat Heated Front Seat(s) Fixed Bench Seat Bucket Seats BLACK HEADLINER BLACK BLIND SPOT ASSIST Blind Spot Monitor WHEEL LOCKS (PIO) Wheel Locks NUT BROWN/BLACK, MB-TEX UPHOLSTERY Premium Synthetic Seats ILLUMINATED STAR (PIO) COMFORT BOX (PIO) REAR SPOILER (PIO) Rear Spoiler SPORT PACKAGE LED LOGO PROJECTORS (SET OF 2) (PIO) LOWERED SUSPENSION W/SELECTIVE DAMPING SYSTEM PREMIUM 1 PACKAGE Keyless Start HD Radio Hands-Free Liftgate Satellite Radio Power Door Locks Keyless Entry Remote Trunk Release WHEELS: 18 5-SPOKE (STD) Aluminum Wheels DESIGNO BLACK PIANO LACQUER FLOWING LINES WOOD BURMESTER SURROUND SOUND SYSTEM Premium Sound System *Note - For third party subscriptions or services, please contact the dealer for more information. * There's a level of quality and refinement in this Mercedes-Benz E-Class that you won't find in your average vehicle. You've found the one you've been looking for. Your dream car. The 2019 Mercedes-Benz exterior is finished in a breathtaking Black, while being complemented by such a gorgeous Nut Brown/Black interior. This color combination is stunning and absolutely beautiful!This 2019 Mercedes-Benz E-Class E 300 is offered to you for sale by Mercedes-Benz of Boerne. This Mercedes-Benz includes: HEATED FRONT SEATS Split Bench Seat Heated Front Seat(s) Fixed Bench Seat Bucket Seats BLACK HEADLINER BLACK BLIND SPOT ASSIST Blind Spot Monitor WHEEL LOCKS (PIO) Wheel Locks NUT BROWN/BLACK, MB-TEX UPHOLSTERY Premium Synthetic Seats ILLUMINATED STAR (PIO) COMFORT BOX (PIO) REAR SPOILER (PIO) Rear Spoiler SPORT PACKAGE LED LOGO PROJECTORS (SET OF 2) (PIO) LOWERED SUSPENSION W/SELECTIVE DAMPING SYSTEM PREMIUM 1 PACKAGE Keyless Start HD Radio Hands-Free Liftgate Satellite Radio Power Door Locks Keyless Entry Remote Trunk Release WHEELS: 18 5-SPOKE (STD) Aluminum Wheels DESIGNO BLACK PIANO LACQUER FLOWING LINES WOOD BURMESTER SURROUND SOUND SYSTEM Premium Sound System *Note - For third party subscriptions or services, please contact the dealer for more information. * There's a level of quality and refinement in this Mercedes-Benz E-Class that you won't find in your average vehicle. You've found the one you've been looking for. Your dream car. The 2019 Mercedes-Benz exterior is finished in a breathtaking Black, while being complemented by such a gorgeous Nut Brown/Black interior. This color combination is stunning and absolutely beautiful! You can find this 2019 Mercedes-Benz E-Class E 300 and many others like it at Mercedes-Benz of Boerne. This Mercedes-Benz includes: HEATED FRONT SEATS Split Bench Seat Heated Front Seat(s) Fixed Bench Seat Bucket Seats BROWN ASH WOOD TRIM Woodgrain Interior Trim BLACK HEADLINER BLIND SPOT ASSIST Blind Spot Monitor WHEEL LOCKS (PIO) Wheel Locks EXTERIOR LIGHTING PACKAGE Automatic Headlights Daytime Running Lights Headlights-Auto-Leveling COMFORT BOX (PIO) POLAR WHITE REAR SPOILER (PIO) Rear Spoiler REAR SEAT ENTERTAINMENT MACCHIATO BEIGE/BLACK, MB-TEX UPHOLSTERY Vinyl Seats Cloth Seats Leather Seats Premium Synthetic Seats AMG® LINE EXTERIOR 4-Wheel Disc Brakes Front Disc/Rear Drum Brakes LED LOGO PROJECTORS (SET OF 2) (PIO) LOWERED SUSPENSION W/SELECTIVE DAMPING SYSTEM PREMIUM 1 PACKAGE Keyless Start HD Radio Hands-Free Liftgate Satellite Radio Power Door Locks Keyless Entry Remote Trunk Release PARKING ASSISTANCE PACKAGE Automatic Parking Back-Up Camera WHEELS: 19 AMG® TWIN 5-SPOKE Chrome Wheels Tires - Front Performance Aluminum Wheels Steel Wheels Tires - Rear Performance 115V AC POWER OUTLET BURMESTER SURROUND SOUND SYSTEM Premium Sound System *Note - For third party subscriptions or services, please contact the dealer for more information. * Pull up in the vehicle and the valet will want to parked on the front row. This Mercedes-Benz E-Class is the vehicle others dream to own. Don't miss your chance to make it your new ride. The look is unmistakably Mercedes-Benz, the smooth contours and cutting-edge technology of this Mercedes-Benz E-Class E 300 will definitely turn heads. There is no reason why you shouldn't buy this Mercedes-Benz E-Class E 300. It is incomparable for the price and quality.You can find this 2019 Mercedes-Benz E-Class E 300 and many others like it at Mercedes-Benz of Boerne. This Mercedes-Benz includes: HEATED FRONT SEATS Split Bench Seat Heated Front Seat(s) Fixed Bench Seat Bucket Seats BROWN ASH WOOD TRIM Woodgrain Interior Trim BLACK HEADLINER BLIND SPOT ASSIST Blind Spot Monitor WHEEL LOCKS (PIO) Wheel Locks EXTERIOR LIGHTING PACKAGE Automatic Headlights Daytime Running Lights Headlights-Auto-Leveling COMFORT BOX (PIO) POLAR WHITE REAR SPOILER (PIO) Rear Spoiler REAR SEAT ENTERTAINMENT MACCHIATO BEIGE/BLACK, MB-TEX UPHOLSTERY Vinyl Seats Cloth Seats Leather Seats Premium Synthetic Seats AMG® LINE EXTERIOR 4-Wheel Disc Brakes Front Disc/Rear Drum Brakes LED LOGO PROJECTORS (SET OF 2) (PIO) LOWERED SUSPENSION W/SELECTIVE DAMPING SYSTEM PREMIUM 1 PACKAGE Keyless Start HD Radio Hands-Free Liftgate Satellite Radio Power Door Locks Keyless Entry Remote Trunk Release PARKING ASSISTANCE PACKAGE Automatic Parking Back-Up Camera WHEELS: 19 AMG® TWIN 5-SPOKE Chrome Wheels Tires - Front Performance Aluminum Wheels Steel Wheels Tires - Rear Performance 115V AC POWER OUTLET BURMESTER SURROUND SOUND SYSTEM Premium Sound System *Note - For third party subscriptions or services, please contact the dealer for more information. * Pull up in the vehicle and the valet will want to parked on the front row. This Mercedes-Benz E-Class is the vehicle others dream to own. Don't miss your chance to make it your new ride. The look is unmistakably Mercedes-Benz, the smooth contours and cutting-edge technology of this Mercedes-Benz E-Class E 300 will definitely turn heads. There is no reason why you shouldn't buy this Mercedes-Benz E-Class E 300. It is incomparable for the price and quality. You can find this 2019 Mercedes-Benz E-Class E 300 and many others like it at Mercedes-Benz of Boerne. This Mercedes-Benz includes: HEATED FRONT SEATS Split Bench Seat Heated Front Seat(s) Fixed Bench Seat Bucket Seats BROWN ASH WOOD TRIM Woodgrain Interior Trim BLACK HEADLINER BLACK BLIND SPOT ASSIST Blind Spot Monitor WHEEL LOCKS (PIO) Wheel Locks EXTERIOR LIGHTING PACKAGE Automatic Headlights Daytime Running Lights Headlights-Auto-Leveling BLACK, MB-TEX UPHOLSTERY Vinyl Seats Cloth Seats Leather Seats Premium Synthetic Seats COMFORT BOX (PIO) REAR SPOILER (PIO) Rear Spoiler REAR SEAT ENTERTAINMENT AMG® LINE EXTERIOR 4-Wheel Disc Brakes Front Disc/Rear Drum Brakes LED LOGO PROJECTORS (SET OF 2) (PIO) LOWERED SUSPENSION W/SELECTIVE DAMPING SYSTEM PREMIUM 1 PACKAGE Keyless Start HD Radio Hands-Free Liftgate Satellite Radio Power Door Locks Keyless Entry Remote Trunk Release PARKING ASSISTANCE PACKAGE Automatic Parking Back-Up Camera WHEELS: 19 AMG® TWIN 5-SPOKE Chrome Wheels Tires - Front Performance Aluminum Wheels Steel Wheels Tires - Rear Performance 115V AC POWER OUTLET BURMESTER SURROUND SOUND SYSTEM Premium Sound System *Note - For third party subscriptions or services, please contact the dealer for more information. * There's a level of quality and refinement in this Mercedes-Benz E-Class that you won't find in your average vehicle. You can finally stop searching... You've found the one you've been looking for. Beautiful color combination with Black exterior over Black interior making this the one to own!You can find this 2019 Mercedes-Benz E-Class E 300 and many others like it at Mercedes-Benz of Boerne. This Mercedes-Benz includes: HEATED FRONT SEATS Split Bench Seat Heated Front Seat(s) Fixed Bench Seat Bucket Seats BROWN ASH WOOD TRIM Woodgrain Interior Trim BLACK HEADLINER BLACK BLIND SPOT ASSIST Blind Spot Monitor WHEEL LOCKS (PIO) Wheel Locks EXTERIOR LIGHTING PACKAGE Automatic Headlights Daytime Running Lights Headlights-Auto-Leveling BLACK, MB-TEX UPHOLSTERY Vinyl Seats Cloth Seats Leather Seats Premium Synthetic Seats COMFORT BOX (PIO) REAR SPOILER (PIO) Rear Spoiler REAR SEAT ENTERTAINMENT AMG® LINE EXTERIOR 4-Wheel Disc Brakes Front Disc/Rear Drum Brakes LED LOGO PROJECTORS (SET OF 2) (PIO) LOWERED SUSPENSION W/SELECTIVE DAMPING SYSTEM PREMIUM 1 PACKAGE Keyless Start HD Radio Hands-Free Liftgate Satellite Radio Power Door Locks Keyless Entry Remote Trunk Release PARKING ASSISTANCE PACKAGE Automatic Parking Back-Up Camera WHEELS: 19 AMG® TWIN 5-SPOKE Chrome Wheels Tires - Front Performance Aluminum Wheels Steel Wheels Tires - Rear Performance 115V AC POWER OUTLET BURMESTER SURROUND SOUND SYSTEM Premium Sound System *Note - For third party subscriptions or services, please contact the dealer for more information. * There's a level of quality and refinement in this Mercedes-Benz E-Class that you won't find in your average vehicle. You can finally stop searching... You've found the one you've been looking for. Beautiful color combination with Black exterior over Black interior making this the one to own! Contact Mercedes-Benz of Boerne today for information on dozens of vehicles like this 2019 Mercedes-Benz E-Class E 300. This Mercedes-Benz includes: HEATED FRONT SEATS Split Bench Seat Heated Front Seat(s) Fixed Bench Seat Bucket Seats BROWN ASH WOOD TRIM Woodgrain Interior Trim BLACK HEADLINER BLIND SPOT ASSIST Blind Spot Monitor WHEEL LOCKS (PIO) Wheel Locks EXTERIOR LIGHTING PACKAGE Automatic Headlights Daytime Running Lights Headlights-Auto-Leveling ILLUMINATED STAR (PIO) COMFORT BOX (PIO) POLAR WHITE REAR SPOILER (PIO) Rear Spoiler REAR SEAT ENTERTAINMENT MACCHIATO BEIGE/BLACK, MB-TEX UPHOLSTERY Vinyl Seats Cloth Seats Leather Seats Premium Synthetic Seats AMG® LINE EXTERIOR 4-Wheel Disc Brakes Front Disc/Rear Drum Brakes LED LOGO PROJECTORS (SET OF 2) (PIO) LOWERED SUSPENSION W/SELECTIVE DAMPING SYSTEM PREMIUM 1 PACKAGE Keyless Start HD Radio Hands-Free Liftgate Satellite Radio Power Door Locks Keyless Entry Remote Trunk Release PARKING ASSISTANCE PACKAGE Automatic Parking Back-Up Camera WHEELS: 19 AMG® TWIN 5-SPOKE Chrome Wheels Tires - Front Performance Aluminum Wheels Steel Wheels Tires - Rear Performance 115V AC POWER OUTLET BURMESTER SURROUND SOUND SYSTEM Premium Sound System *Note - For third party subscriptions or services, please contact the dealer for more information. * Pull up in the vehicle and the valet will want to parked on the front row. This Mercedes-Benz E-Class is the vehicle others dream to own. Don't miss your chance to make it your new ride. The look is unmistakably Mercedes-Benz, the smooth contours and cutting-edge technology of this Mercedes-Benz E-Class E 300 will definitely turn heads. The 2019 Mercedes-Benz exterior is finished in a breathtaking Polar White, while being complemented by such a gorgeous Macchiato Beige/Black interior. This color combination is stunning and absolutely beautiful!Contact Mercedes-Benz of Boerne today for information on dozens of vehicles like this 2019 Mercedes-Benz E-Class E 300. This Mercedes-Benz includes: HEATED FRONT SEATS Split Bench Seat Heated Front Seat(s) Fixed Bench Seat Bucket Seats BROWN ASH WOOD TRIM Woodgrain Interior Trim BLACK HEADLINER BLIND SPOT ASSIST Blind Spot Monitor WHEEL LOCKS (PIO) Wheel Locks EXTERIOR LIGHTING PACKAGE Automatic Headlights Daytime Running Lights Headlights-Auto-Leveling ILLUMINATED STAR (PIO) COMFORT BOX (PIO) POLAR WHITE REAR SPOILER (PIO) Rear Spoiler REAR SEAT ENTERTAINMENT MACCHIATO BEIGE/BLACK, MB-TEX UPHOLSTERY Vinyl Seats Cloth Seats Leather Seats Premium Synthetic Seats AMG® LINE EXTERIOR 4-Wheel Disc Brakes Front Disc/Rear Drum Brakes LED LOGO PROJECTORS (SET OF 2) (PIO) LOWERED SUSPENSION W/SELECTIVE DAMPING SYSTEM PREMIUM 1 PACKAGE Keyless Start HD Radio Hands-Free Liftgate Satellite Radio Power Door Locks Keyless Entry Remote Trunk Release PARKING ASSISTANCE PACKAGE Automatic Parking Back-Up Camera WHEELS: 19 AMG® TWIN 5-SPOKE Chrome Wheels Tires - Front Performance Aluminum Wheels Steel Wheels Tires - Rear Performance 115V AC POWER OUTLET BURMESTER SURROUND SOUND SYSTEM Premium Sound System *Note - For third party subscriptions or services, please contact the dealer for more information. * Pull up in the vehicle and the valet will want to parked on the front row. This Mercedes-Benz E-Class is the vehicle others dream to own. Don't miss your chance to make it your new ride. The look is unmistakably Mercedes-Benz, the smooth contours and cutting-edge technology of this Mercedes-Benz E-Class E 300 will definitely turn heads. The 2019 Mercedes-Benz exterior is finished in a breathtaking Polar White, while being complemented by such a gorgeous Macchiato Beige/Black interior. This color combination is stunning and absolutely beautiful! This 2019 Mercedes-Benz E-Class E 300 is proudly offered by Mercedes-Benz of Boerne This Mercedes-Benz includes: HEATED FRONT SEATS Split Bench Seat Heated Front Seat(s) Fixed Bench Seat Bucket Seats BROWN ASH WOOD TRIM Woodgrain Interior Trim BLIND SPOT ASSIST Blind Spot Monitor WHEEL LOCKS (PIO) Wheel Locks EXTERIOR LIGHTING PACKAGE Automatic Headlights Daytime Running Lights Headlights-Auto-Leveling BLACK, MB-TEX UPHOLSTERY Vinyl Seats Cloth Seats Leather Seats Premium Synthetic Seats COMFORT BOX (PIO) REAR SPOILER (PIO) Rear Spoiler REAR SEAT ENTERTAINMENT IRIDIUM SILVER METALLIC AMG® LINE EXTERIOR 4-Wheel Disc Brakes Front Disc/Rear Drum Brakes LED LOGO PROJECTORS (SET OF 2) (PIO) LOWERED SUSPENSION W/SELECTIVE DAMPING SYSTEM PREMIUM 1 PACKAGE Keyless Start HD Radio Hands-Free Liftgate Satellite Radio Power Door Locks Keyless Entry Remote Trunk Release PARKING ASSISTANCE PACKAGE Automatic Parking Back-Up Camera WHEELS: 19 AMG® TWIN 5-SPOKE Chrome Wheels Tires - Front Performance Aluminum Wheels Steel Wheels Tires - Rear Performance 115V AC POWER OUTLET BURMESTER SURROUND SOUND SYSTEM Premium Sound System *Note - For third party subscriptions or services, please contact the dealer for more information. * Pull up in the vehicle and the valet will want to parked on the front row. This Mercedes-Benz E-Class is the vehicle others dream to own. Don't miss your chance to make it your new ride. The look is unmistakably Mercedes-Benz, the smooth contours and cutting-edge technology of this Mercedes-Benz E-Class E 300 will definitely turn heads. Just what you've been looking for. With quality in mind, this vehicle is the perfect addition to take home.This 2019 Mercedes-Benz E-Class E 300 is proudly offered by Mercedes-Benz of Boerne This Mercedes-Benz includes: HEATED FRONT SEATS Split Bench Seat Heated Front Seat(s) Fixed Bench Seat Bucket Seats BROWN ASH WOOD TRIM Woodgrain Interior Trim BLIND SPOT ASSIST Blind Spot Monitor WHEEL LOCKS (PIO) Wheel Locks EXTERIOR LIGHTING PACKAGE Automatic Headlights Daytime Running Lights Headlights-Auto-Leveling BLACK, MB-TEX UPHOLSTERY Vinyl Seats Cloth Seats Leather Seats Premium Synthetic Seats COMFORT BOX (PIO) REAR SPOILER (PIO) Rear Spoiler REAR SEAT ENTERTAINMENT IRIDIUM SILVER METALLIC AMG® LINE EXTERIOR 4-Wheel Disc Brakes Front Disc/Rear Drum Brakes LED LOGO PROJECTORS (SET OF 2) (PIO) LOWERED SUSPENSION W/SELECTIVE DAMPING SYSTEM PREMIUM 1 PACKAGE Keyless Start HD Radio Hands-Free Liftgate Satellite Radio Power Door Locks Keyless Entry Remote Trunk Release PARKING ASSISTANCE PACKAGE Automatic Parking Back-Up Camera WHEELS: 19 AMG® TWIN 5-SPOKE Chrome Wheels Tires - Front Performance Aluminum Wheels Steel Wheels Tires - Rear Performance 115V AC POWER OUTLET BURMESTER SURROUND SOUND SYSTEM Premium Sound System *Note - For third party subscriptions or services, please contact the dealer for more information. * Pull up in the vehicle and the valet will want to parked on the front row. This Mercedes-Benz E-Class is the vehicle others dream to own. Don't miss your chance to make it your new ride. The look is unmistakably Mercedes-Benz, the smooth contours and cutting-edge technology of this Mercedes-Benz E-Class E 300 will definitely turn heads. Just what you've been looking for. With quality in mind, this vehicle is the perfect addition to take home. This outstanding example of a 2019 Mercedes-Benz E-Class E 300 is offered by Mercedes-Benz of Boerne. This Mercedes-Benz includes: HEATED FRONT SEATS Split Bench Seat Heated Front Seat(s) Fixed Bench Seat Bucket Seats BROWN ASH WOOD TRIM Woodgrain Interior Trim BLACK HEADLINER BLIND SPOT ASSIST Blind Spot Monitor WHEEL LOCKS (PIO) Wheel Locks PANORAMA ROOF Generic Sun/Moonroof Sun/Moonroof Dual Moonroof EXTERIOR LIGHTING PACKAGE Automatic Headlights Daytime Running Lights Headlights-Auto-Leveling NUT BROWN/BLACK, MB-TEX UPHOLSTERY Premium Synthetic Seats COMFORT BOX (PIO) POLAR WHITE REAR SPOILER (PIO) Rear Spoiler REAR SEAT ENTERTAINMENT AMG® LINE EXTERIOR 4-Wheel Disc Brakes Front Disc/Rear Drum Brakes LOWERED SUSPENSION W/SELECTIVE DAMPING SYSTEM PREMIUM 1 PACKAGE Keyless Start HD Radio Hands-Free Liftgate Satellite Radio Power Door Locks Keyless Entry Remote Trunk Release PARKING ASSISTANCE PACKAGE Automatic Parking Back-Up Camera WHEELS: 19 AMG® TWIN 5-SPOKE Chrome Wheels Tires - Front Performance Aluminum Wheels Steel Wheels Tires - Rear Performance 115V AC POWER OUTLET BURMESTER SURROUND SOUND SYSTEM Premium Sound System *Note - For third party subscriptions or services, please contact the dealer for more information. * Pull up in the vehicle and the valet will want to parked on the front row. This Mercedes-Benz E-Class is the vehicle others dream to own. Don't miss your chance to make it your new ride. Beautiful color combination with Polar White exterior over Nut Brown/Black interior making this the one to own! This is the one. Just what you've been looking for.This outstanding example of a 2019 Mercedes-Benz E-Class E 300 is offered by Mercedes-Benz of Boerne. This Mercedes-Benz includes: HEATED FRONT SEATS Split Bench Seat Heated Front Seat(s) Fixed Bench Seat Bucket Seats BROWN ASH WOOD TRIM Woodgrain Interior Trim BLACK HEADLINER BLIND SPOT ASSIST Blind Spot Monitor WHEEL LOCKS (PIO) Wheel Locks PANORAMA ROOF Generic Sun/Moonroof Sun/Moonroof Dual Moonroof EXTERIOR LIGHTING PACKAGE Automatic Headlights Daytime Running Lights Headlights-Auto-Leveling NUT BROWN/BLACK, MB-TEX UPHOLSTERY Premium Synthetic Seats COMFORT BOX (PIO) POLAR WHITE REAR SPOILER (PIO) Rear Spoiler REAR SEAT ENTERTAINMENT AMG® LINE EXTERIOR 4-Wheel Disc Brakes Front Disc/Rear Drum Brakes LOWERED SUSPENSION W/SELECTIVE DAMPING SYSTEM PREMIUM 1 PACKAGE Keyless Start HD Radio Hands-Free Liftgate Satellite Radio Power Door Locks Keyless Entry Remote Trunk Release PARKING ASSISTANCE PACKAGE Automatic Parking Back-Up Camera WHEELS: 19 AMG® TWIN 5-SPOKE Chrome Wheels Tires - Front Performance Aluminum Wheels Steel Wheels Tires - Rear Performance 115V AC POWER OUTLET BURMESTER SURROUND SOUND SYSTEM Premium Sound System *Note - For third party subscriptions or services, please contact the dealer for more information. * Pull up in the vehicle and the valet will want to parked on the front row. This Mercedes-Benz E-Class is the vehicle others dream to own. Don't miss your chance to make it your new ride. Beautiful color combination with Polar White exterior over Nut Brown/Black interior making this the one to own! This is the one. Just what you've been looking for. Contact Mercedes-Benz of Boerne today for information on dozens of vehicles like this 2019 Mercedes-Benz E-Class E 300. This Mercedes-Benz includes: BURL WALNUT WOOD TRIM Woodgrain Interior Trim HEATED FRONT SEATS Split Bench Seat Heated Front Seat(s) Fixed Bench Seat Bucket Seats MACCHIATO BEIGE HEADLINER BLIND SPOT ASSIST Blind Spot Monitor WHEEL LOCKS (PIO) Wheel Locks PANORAMA ROOF Generic Sun/Moonroof Sun/Moonroof Dual Moonroof COMFORT BOX (PIO) REAR SEAT ENTERTAINMENT IRIDIUM SILVER METALLIC MACCHIATO BEIGE/ESP®RESSO, MB-TEX UPHOLSTERY Vinyl Seats Cloth Seats Leather Seats Premium Synthetic Seats LUXURY PACKAGE Woodgrain Interior Trim WOOD/LEATHER STEERING WHEEL Leather Steering Wheel LED LOGO PROJECTORS (SET OF 2) (PIO) WHEELS: 19 10-SPOKE ALLOY Chrome Wheels Tires - Front Performance Aluminum Wheels Steel Wheels Tires - Rear Performance PREMIUM 1 PACKAGE Keyless Start HD Radio Hands-Free Liftgate Satellite Radio Power Door Locks Keyless Entry Remote Trunk Release PARKING ASSISTANCE PACKAGE Automatic Parking Back-Up Camera 115V AC POWER OUTLET BURMESTER SURROUND SOUND SYSTEM Premium Sound System *Note - For third party subscriptions or services, please contact the dealer for more information. * Pull up in the vehicle and the valet will want to parked on the front row. This Mercedes-Benz E-Class is the vehicle others dream to own. Don't miss your chance to make it your new ride. The look is unmistakably Mercedes-Benz, the smooth contours and cutting-edge technology of this Mercedes-Benz E-Class E 300 will definitely turn heads. Based on the superb condition of this vehicle, along with the options and color, this Mercedes-Benz E-Class E 300 is sure to sell fast.Contact Mercedes-Benz of Boerne today for information on dozens of vehicles like this 2019 Mercedes-Benz E-Class E 300. This Mercedes-Benz includes: BURL WALNUT WOOD TRIM Woodgrain Interior Trim HEATED FRONT SEATS Split Bench Seat Heated Front Seat(s) Fixed Bench Seat Bucket Seats MACCHIATO BEIGE HEADLINER BLIND SPOT ASSIST Blind Spot Monitor WHEEL LOCKS (PIO) Wheel Locks PANORAMA ROOF Generic Sun/Moonroof Sun/Moonroof Dual Moonroof COMFORT BOX (PIO) REAR SEAT ENTERTAINMENT IRIDIUM SILVER METALLIC MACCHIATO BEIGE/ESP®RESSO, MB-TEX UPHOLSTERY Vinyl Seats Cloth Seats Leather Seats Premium Synthetic Seats LUXURY PACKAGE Woodgrain Interior Trim WOOD/LEATHER STEERING WHEEL Leather Steering Wheel LED LOGO PROJECTORS (SET OF 2) (PIO) WHEELS: 19 10-SPOKE ALLOY Chrome Wheels Tires - Front Performance Aluminum Wheels Steel Wheels Tires - Rear Performance PREMIUM 1 PACKAGE Keyless Start HD Radio Hands-Free Liftgate Satellite Radio Power Door Locks Keyless Entry Remote Trunk Release PARKING ASSISTANCE PACKAGE Automatic Parking Back-Up Camera 115V AC POWER OUTLET BURMESTER SURROUND SOUND SYSTEM Premium Sound System *Note - For third party subscriptions or services, please contact the dealer for more information. * Pull up in the vehicle and the valet will want to parked on the front row. This Mercedes-Benz E-Class is the vehicle others dream to own. Don't miss your chance to make it your new ride. The look is unmistakably Mercedes-Benz, the smooth contours and cutting-edge technology of this Mercedes-Benz E-Class E 300 will definitely turn heads. Based on the superb condition of this vehicle, along with the options and color, this Mercedes-Benz E-Class E 300 is sure to sell fast. You can find this 2019 Mercedes-Benz E-Class E 300 and many others like it at Mercedes-Benz of Boerne. This Mercedes-Benz includes: BURL WALNUT WOOD TRIM Woodgrain Interior Trim HEATED FRONT SEATS Split Bench Seat Heated Front Seat(s) Fixed Bench Seat Bucket Seats MACCHIATO BEIGE HEADLINER BLIND SPOT ASSIST Blind Spot Monitor WHEEL LOCKS (PIO) Wheel Locks EXTERIOR LIGHTING PACKAGE Automatic Headlights Daytime Running Lights Headlights-Auto-Leveling COMFORT BOX (PIO) REAR SEAT ENTERTAINMENT MACCHIATO BEIGE/ESP®RESSO, MB-TEX UPHOLSTERY Vinyl Seats Cloth Seats Leather Seats Premium Synthetic Seats LUXURY PACKAGE Woodgrain Interior Trim WOOD/LEATHER STEERING WHEEL Leather Steering Wheel LED LOGO PROJECTORS (SET OF 2) (PIO) WHEELS: 19 10-SPOKE ALLOY Chrome Wheels Tires - Front Performance Aluminum Wheels Steel Wheels Tires - Rear Performance PREMIUM 1 PACKAGE Keyless Start HD Radio Hands-Free Liftgate Satellite Radio Power Door Locks Keyless Entry Remote Trunk Release PARKING ASSISTANCE PACKAGE Automatic Parking Back-Up Camera 115V AC POWER OUTLET BURMESTER SURROUND SOUND SYSTEM Premium Sound System *Note - For third party subscriptions or services, please contact the dealer for more information. * Pull up in the vehicle and the valet will want to parked on the front row. This Mercedes-Benz E-Class is the vehicle others dream to own. Don't miss your chance to make it your new ride. Look no further, you have found exactly what you've been looking for. Beautiful color combination with Designo Cardinal Red Metallic exterior over Macchiato Beige/Espresso interior making this the one to own!You can find this 2019 Mercedes-Benz E-Class E 300 and many others like it at Mercedes-Benz of Boerne. This Mercedes-Benz includes: BURL WALNUT WOOD TRIM Woodgrain Interior Trim HEATED FRONT SEATS Split Bench Seat Heated Front Seat(s) Fixed Bench Seat Bucket Seats MACCHIATO BEIGE HEADLINER BLIND SPOT ASSIST Blind Spot Monitor WHEEL LOCKS (PIO) Wheel Locks EXTERIOR LIGHTING PACKAGE Automatic Headlights Daytime Running Lights Headlights-Auto-Leveling COMFORT BOX (PIO) REAR SEAT ENTERTAINMENT MACCHIATO BEIGE/ESP®RESSO, MB-TEX UPHOLSTERY Vinyl Seats Cloth Seats Leather Seats Premium Synthetic Seats LUXURY PACKAGE Woodgrain Interior Trim WOOD/LEATHER STEERING WHEEL Leather Steering Wheel LED LOGO PROJECTORS (SET OF 2) (PIO) WHEELS: 19 10-SPOKE ALLOY Chrome Wheels Tires - Front Performance Aluminum Wheels Steel Wheels Tires - Rear Performance PREMIUM 1 PACKAGE Keyless Start HD Radio Hands-Free Liftgate Satellite Radio Power Door Locks Keyless Entry Remote Trunk Release PARKING ASSISTANCE PACKAGE Automatic Parking Back-Up Camera 115V AC POWER OUTLET BURMESTER SURROUND SOUND SYSTEM Premium Sound System *Note - For third party subscriptions or services, please contact the dealer for more information. * Pull up in the vehicle and the valet will want to parked on the front row. This Mercedes-Benz E-Class is the vehicle others dream to own. Don't miss your chance to make it your new ride. Look no further, you have found exactly what you've been looking for. Beautiful color combination with Designo Cardinal Red Metallic exterior over Macchiato Beige/Espresso interior making this the one to own! This 2019 Mercedes-Benz E-Class E 300 is proudly offered by Mercedes-Benz of Boerne This Mercedes-Benz includes: HEATED FRONT SEATS Split Bench Seat Heated Front Seat(s) Fixed Bench Seat Bucket Seats NIGHT PACKAGE BROWN ASH WOOD TRIM Woodgrain Interior Trim BLACK HEADLINER BLIND SPOT ASSIST Blind Spot Monitor DESIGNO DIAMOND WHITE METALLIC WHEEL LOCKS (PIO) Wheel Locks EXTERIOR LIGHTING PACKAGE Automatic Headlights Daytime Running Lights Headlights-Auto-Leveling COMFORT BOX (PIO) REAR SPOILER (PIO) Rear Spoiler REAR SEAT ENTERTAINMENT MACCHIATO BEIGE/BLACK, MB-TEX UPHOLSTERY Vinyl Seats Cloth Seats Leather Seats Premium Synthetic Seats AMG® LINE EXTERIOR 4-Wheel Disc Brakes Front Disc/Rear Drum Brakes LOWERED SUSPENSION W/SELECTIVE DAMPING SYSTEM PREMIUM 1 PACKAGE Keyless Start HD Radio Hands-Free Liftgate Satellite Radio Power Door Locks Keyless Entry Remote Trunk Release WHEELS: 19 AMG® TWIN 5-SPOKE W/BLACK ACCENTS Chrome Wheels Tires - Front Performance Aluminum Wheels Steel Wheels Tires - Rear Performance PARKING ASSISTANCE PACKAGE Automatic Parking Back-Up Camera 115V AC POWER OUTLET BURMESTER SURROUND SOUND SYSTEM Premium Sound System *Note - For third party subscriptions or services, please contact the dealer for more information. * You appreciate the finer things in life, the vehicle you drive should not be the exception. Style, performance, sophistication is in a class of its own with this stunning Mercedes-Benz E-Class. This is about the time when you're saying it is too good to be true, and let us be the one's to tell you, it is absolutely true. Look no further, you have found exactly what you've been looking for.This 2019 Mercedes-Benz E-Class E 300 is proudly offered by Mercedes-Benz of Boerne This Mercedes-Benz includes: HEATED FRONT SEATS Split Bench Seat Heated Front Seat(s) Fixed Bench Seat Bucket Seats NIGHT PACKAGE BROWN ASH WOOD TRIM Woodgrain Interior Trim BLACK HEADLINER BLIND SPOT ASSIST Blind Spot Monitor DESIGNO DIAMOND WHITE METALLIC WHEEL LOCKS (PIO) Wheel Locks EXTERIOR LIGHTING PACKAGE Automatic Headlights Daytime Running Lights Headlights-Auto-Leveling COMFORT BOX (PIO) REAR SPOILER (PIO) Rear Spoiler REAR SEAT ENTERTAINMENT MACCHIATO BEIGE/BLACK, MB-TEX UPHOLSTERY Vinyl Seats Cloth Seats Leather Seats Premium Synthetic Seats AMG® LINE EXTERIOR 4-Wheel Disc Brakes Front Disc/Rear Drum Brakes LOWERED SUSPENSION W/SELECTIVE DAMPING SYSTEM PREMIUM 1 PACKAGE Keyless Start HD Radio Hands-Free Liftgate Satellite Radio Power Door Locks Keyless Entry Remote Trunk Release WHEELS: 19 AMG® TWIN 5-SPOKE W/BLACK ACCENTS Chrome Wheels Tires - Front Performance Aluminum Wheels Steel Wheels Tires - Rear Performance PARKING ASSISTANCE PACKAGE Automatic Parking Back-Up Camera 115V AC POWER OUTLET BURMESTER SURROUND SOUND SYSTEM Premium Sound System *Note - For third party subscriptions or services, please contact the dealer for more information. * You appreciate the finer things in life, the vehicle you drive should not be the exception. Style, performance, sophistication is in a class of its own with this stunning Mercedes-Benz E-Class. This is about the time when you're saying it is too good to be true, and let us be the one's to tell you, it is absolutely true. Look no further, you have found exactly what you've been looking for. Contact Mercedes-Benz of Boerne today for information on dozens of vehicles like this 2019 Mercedes-Benz E-Class E 300. This Mercedes-Benz includes: HEATED FRONT SEATS Split Bench Seat Heated Front Seat(s) Fixed Bench Seat Bucket Seats BROWN ASH WOOD TRIM Woodgrain Interior Trim BLACK HEADLINER BLIND SPOT ASSIST Blind Spot Monitor WHEEL LOCKS (PIO) Wheel Locks PANORAMA ROOF Generic Sun/Moonroof Sun/Moonroof Dual Moonroof EXTERIOR LIGHTING PACKAGE Automatic Headlights Daytime Running Lights Headlights-Auto-Leveling COMFORT BOX (PIO) REAR SPOILER (PIO) Rear Spoiler REAR SEAT ENTERTAINMENT MACCHIATO BEIGE/BLACK, MB-TEX UPHOLSTERY Vinyl Seats Cloth Seats Leather Seats Premium Synthetic Seats AMG® LINE EXTERIOR 4-Wheel Disc Brakes Front Disc/Rear Drum Brakes LOWERED SUSPENSION W/SELECTIVE DAMPING SYSTEM PREMIUM 1 PACKAGE Keyless Start HD Radio Hands-Free Liftgate Satellite Radio Power Door Locks Keyless Entry Remote Trunk Release PARKING ASSISTANCE PACKAGE Automatic Parking Back-Up Camera WHEELS: 19 AMG® TWIN 5-SPOKE Chrome Wheels Tires - Front Performance Aluminum Wheels Steel Wheels Tires - Rear Performance 115V AC POWER OUTLET BURMESTER SURROUND SOUND SYSTEM Premium Sound System *Note - For third party subscriptions or services, please contact the dealer for more information. * There's a level of quality and refinement in this Mercedes-Benz E-Class that you won't find in your average vehicle. The Mercedes-Benz E-Class E 300 will provide you with everything you have always wanted in a car -- Quality, Reliability, and Character. Just what you've been looking for. With quality in mind, this vehicle is the perfect addition to take home.Contact Mercedes-Benz of Boerne today for information on dozens of vehicles like this 2019 Mercedes-Benz E-Class E 300. This Mercedes-Benz includes: HEATED FRONT SEATS Split Bench Seat Heated Front Seat(s) Fixed Bench Seat Bucket Seats BROWN ASH WOOD TRIM Woodgrain Interior Trim BLACK HEADLINER BLIND SPOT ASSIST Blind Spot Monitor WHEEL LOCKS (PIO) Wheel Locks PANORAMA ROOF Generic Sun/Moonroof Sun/Moonroof Dual Moonroof EXTERIOR LIGHTING PACKAGE Automatic Headlights Daytime Running Lights Headlights-Auto-Leveling COMFORT BOX (PIO) REAR SPOILER (PIO) Rear Spoiler REAR SEAT ENTERTAINMENT MACCHIATO BEIGE/BLACK, MB-TEX UPHOLSTERY Vinyl Seats Cloth Seats Leather Seats Premium Synthetic Seats AMG® LINE EXTERIOR 4-Wheel Disc Brakes Front Disc/Rear Drum Brakes LOWERED SUSPENSION W/SELECTIVE DAMPING SYSTEM PREMIUM 1 PACKAGE Keyless Start HD Radio Hands-Free Liftgate Satellite Radio Power Door Locks Keyless Entry Remote Trunk Release PARKING ASSISTANCE PACKAGE Automatic Parking Back-Up Camera WHEELS: 19 AMG® TWIN 5-SPOKE Chrome Wheels Tires - Front Performance Aluminum Wheels Steel Wheels Tires - Rear Performance 115V AC POWER OUTLET BURMESTER SURROUND SOUND SYSTEM Premium Sound System *Note - For third party subscriptions or services, please contact the dealer for more information. * There's a level of quality and refinement in this Mercedes-Benz E-Class that you won't find in your average vehicle. The Mercedes-Benz E-Class E 300 will provide you with everything you have always wanted in a car -- Quality, Reliability, and Character. Just what you've been looking for. With quality in mind, this vehicle is the perfect addition to take home. This 2019 Mercedes-Benz E-Class E 300 is proudly offered by Mercedes-Benz of Boerne This Mercedes-Benz includes: HEATED FRONT SEATS Split Bench Seat Heated Front Seat(s) Fixed Bench Seat Bucket Seats BROWN ASH WOOD TRIM Woodgrain Interior Trim BLACK HEADLINER BLIND SPOT ASSIST Blind Spot Monitor PANORAMA ROOF Generic Sun/Moonroof Sun/Moonroof Dual Moonroof EXTERIOR LIGHTING PACKAGE Automatic Headlights Daytime Running Lights Headlights-Auto-Leveling LUNAR BLUE METALLIC ILLUMINATED STAR (PIO) COMFORT BOX (PIO) REAR SPOILER (PIO) Rear Spoiler REAR SEAT ENTERTAINMENT MACCHIATO BEIGE/BLACK, MB-TEX UPHOLSTERY Vinyl Seats Cloth Seats Leather Seats Premium Synthetic Seats AMG® LINE EXTERIOR 4-Wheel Disc Brakes Front Disc/Rear Drum Brakes LED LOGO PROJECTORS (SET OF 2) (PIO) LOWERED SUSPENSION W/SELECTIVE DAMPING SYSTEM PREMIUM 1 PACKAGE Keyless Start HD Radio Hands-Free Liftgate Satellite Radio Power Door Locks Keyless Entry Remote Trunk Release PARKING ASSISTANCE PACKAGE Automatic Parking Back-Up Camera WHEELS: 19 AMG® TWIN 5-SPOKE Chrome Wheels Tires - Front Performance Aluminum Wheels Steel Wheels Tires - Rear Performance 115V AC POWER OUTLET BURMESTER SURROUND SOUND SYSTEM Premium Sound System *Note - For third party subscriptions or services, please contact the dealer for more information. * There's a level of quality and refinement in this Mercedes-Benz E-Class that you won't find in your average vehicle. Just what you've been looking for. With quality in mind, this vehicle is the perfect addition to take home. Based on the superb condition of this vehicle, along with the options and color, this Mercedes-Benz E-Class E 300 is sure to sell fast.This 2019 Mercedes-Benz E-Class E 300 is proudly offered by Mercedes-Benz of Boerne This Mercedes-Benz includes: HEATED FRONT SEATS Split Bench Seat Heated Front Seat(s) Fixed Bench Seat Bucket Seats BROWN ASH WOOD TRIM Woodgrain Interior Trim BLACK HEADLINER BLIND SPOT ASSIST Blind Spot Monitor PANORAMA ROOF Generic Sun/Moonroof Sun/Moonroof Dual Moonroof EXTERIOR LIGHTING PACKAGE Automatic Headlights Daytime Running Lights Headlights-Auto-Leveling LUNAR BLUE METALLIC ILLUMINATED STAR (PIO) COMFORT BOX (PIO) REAR SPOILER (PIO) Rear Spoiler REAR SEAT ENTERTAINMENT MACCHIATO BEIGE/BLACK, MB-TEX UPHOLSTERY Vinyl Seats Cloth Seats Leather Seats Premium Synthetic Seats AMG® LINE EXTERIOR 4-Wheel Disc Brakes Front Disc/Rear Drum Brakes LED LOGO PROJECTORS (SET OF 2) (PIO) LOWERED SUSPENSION W/SELECTIVE DAMPING SYSTEM PREMIUM 1 PACKAGE Keyless Start HD Radio Hands-Free Liftgate Satellite Radio Power Door Locks Keyless Entry Remote Trunk Release PARKING ASSISTANCE PACKAGE Automatic Parking Back-Up Camera WHEELS: 19 AMG® TWIN 5-SPOKE Chrome Wheels Tires - Front Performance Aluminum Wheels Steel Wheels Tires - Rear Performance 115V AC POWER OUTLET BURMESTER SURROUND SOUND SYSTEM Premium Sound System *Note - For third party subscriptions or services, please contact the dealer for more information. * There's a level of quality and refinement in this Mercedes-Benz E-Class that you won't find in your average vehicle. Just what you've been looking for. With quality in mind, this vehicle is the perfect addition to take home. Based on the superb condition of this vehicle, along with the options and color, this Mercedes-Benz E-Class E 300 is sure to sell fast. Contact Mercedes-Benz of Boerne today for information on dozens of vehicles like this 2019 Mercedes-Benz E-Class E 300. This Mercedes-Benz includes: HEATED FRONT SEATS Split Bench Seat Heated Front Seat(s) Fixed Bench Seat Bucket Seats BROWN ASH WOOD TRIM Woodgrain Interior Trim BLACK HEADLINER BLACK BLIND SPOT ASSIST Blind Spot Monitor WHEEL LOCKS (PIO) Wheel Locks EXTERIOR LIGHTING PACKAGE Automatic Headlights Daytime Running Lights Headlights-Auto-Leveling HEAD-UP DISPLAY Heads-Up Display ILLUMINATED STAR (PIO) COMFORT BOX (PIO) REAR SPOILER (PIO) Rear Spoiler REAR SEAT ENTERTAINMENT MACCHIATO BEIGE/BLACK, MB-TEX UPHOLSTERY Vinyl Seats Cloth Seats Leather Seats Premium Synthetic Seats 12.3 WIDESCREEN INSTRUMENT CLUSTER AMG® LINE EXTERIOR 4-Wheel Disc Brakes Front Disc/Rear Drum Brakes LED LOGO PROJECTORS (SET OF 2) (PIO) LOWERED SUSPENSION W/SELECTIVE DAMPING SYSTEM PREMIUM 1 PACKAGE Keyless Start HD Radio Hands-Free Liftgate Satellite Radio Power Door Locks Keyless Entry Remote Trunk Release PARKING ASSISTANCE PACKAGE Automatic Parking Back-Up Camera WHEELS: 19 AMG® TWIN 5-SPOKE Chrome Wheels Tires - Front Performance Aluminum Wheels Steel Wheels Tires - Rear Performance 115V AC POWER OUTLET BURMESTER SURROUND SOUND SYSTEM Premium Sound System *Note - For third party subscriptions or services, please contact the dealer for more information. * You appreciate the finer things in life, the vehicle you drive should not be the exception. Style, performance, sophistication is in a class of its own with this stunning Mercedes-Benz E-Class. The Mercedes-Benz E-Class E 300 will provide you with everything you have always wanted in a car -- Quality, Reliability, and Character. There is no reason why you shouldn't buy this Mercedes-Benz E-Class E 300. It is incomparable for the price and quality.Contact Mercedes-Benz of Boerne today for information on dozens of vehicles like this 2019 Mercedes-Benz E-Class E 300. This Mercedes-Benz includes: HEATED FRONT SEATS Split Bench Seat Heated Front Seat(s) Fixed Bench Seat Bucket Seats BROWN ASH WOOD TRIM Woodgrain Interior Trim BLACK HEADLINER BLACK BLIND SPOT ASSIST Blind Spot Monitor WHEEL LOCKS (PIO) Wheel Locks EXTERIOR LIGHTING PACKAGE Automatic Headlights Daytime Running Lights Headlights-Auto-Leveling HEAD-UP DISPLAY Heads-Up Display ILLUMINATED STAR (PIO) COMFORT BOX (PIO) REAR SPOILER (PIO) Rear Spoiler REAR SEAT ENTERTAINMENT MACCHIATO BEIGE/BLACK, MB-TEX UPHOLSTERY Vinyl Seats Cloth Seats Leather Seats Premium Synthetic Seats 12.3 WIDESCREEN INSTRUMENT CLUSTER AMG® LINE EXTERIOR 4-Wheel Disc Brakes Front Disc/Rear Drum Brakes LED LOGO PROJECTORS (SET OF 2) (PIO) LOWERED SUSPENSION W/SELECTIVE DAMPING SYSTEM PREMIUM 1 PACKAGE Keyless Start HD Radio Hands-Free Liftgate Satellite Radio Power Door Locks Keyless Entry Remote Trunk Release PARKING ASSISTANCE PACKAGE Automatic Parking Back-Up Camera WHEELS: 19 AMG® TWIN 5-SPOKE Chrome Wheels Tires - Front Performance Aluminum Wheels Steel Wheels Tires - Rear Performance 115V AC POWER OUTLET BURMESTER SURROUND SOUND SYSTEM Premium Sound System *Note - For third party subscriptions or services, please contact the dealer for more information. * You appreciate the finer things in life, the vehicle you drive should not be the exception. Style, performance, sophistication is in a class of its own with this stunning Mercedes-Benz E-Class. The Mercedes-Benz E-Class E 300 will provide you with everything you have always wanted in a car -- Quality, Reliability, and Character. There is no reason why you shouldn't buy this Mercedes-Benz E-Class E 300. It is incomparable for the price and quality. Mercedes-Benz of Boerne is excited to offer this 2019 Mercedes-Benz E-Class. This Mercedes-Benz includes: WHEELS: 19 AMG® TWIN 5-SPOKE Chrome Wheels Tires - Front Performance Aluminum Wheels Steel Wheels Tires - Rear Performance BLIND SPOT ASSIST Blind Spot Monitor BROWN ASH WOOD TRIM Woodgrain Interior Trim BURMESTER SURROUND SOUND SYSTEM Premium Sound System LED LOGO PROJECTORS (SET OF 2) (PIO) COMFORT BOX (PIO) REAR SPOILER (PIO) Rear Spoiler 115V AC POWER OUTLET PANORAMA ROOF Generic Sun/Moonroof Sun/Moonroof Dual Moonroof AMG® LINE EXTERIOR 4-Wheel Disc Brakes Front Disc/Rear Drum Brakes LOWERED SUSPENSION W/SELECTIVE DAMPING SYSTEM BLACK HEADLINER PREMIUM 1 PACKAGE Keyless Start HD Radio Hands-Free Liftgate Satellite Radio Power Door Locks Keyless Entry Remote Trunk Release 12.3 WIDESCREEN INSTRUMENT CLUSTER REAR SEAT ENTERTAINMENT ILLUMINATED STAR (PIO) HEATED FRONT SEATS Split Bench Seat Heated Front Seat(s) Fixed Bench Seat Bucket Seats *Note - For third party subscriptions or services, please contact the dealer for more information. * You appreciate the finer things in life, the vehicle you drive should not be the exception. Style, performance, sophistication is in a class of its own with this stunning Mercedes-Benz E-Class. Simply put, this all wheel drive vehicle is engineered with higher standards. Enjoy improved steering, superior acceleration, and increased stability and safety while driving this AWD Mercedes-BenzE-Class E 300. Beautiful color combination with Polar White exterior over Macchiato Beige/Black interior making this the one to own!Mercedes-Benz of Boerne is excited to offer this 2019 Mercedes-Benz E-Class. This Mercedes-Benz includes: WHEELS: 19 AMG® TWIN 5-SPOKE Chrome Wheels Tires - Front Performance Aluminum Wheels Steel Wheels Tires - Rear Performance BLIND SPOT ASSIST Blind Spot Monitor BROWN ASH WOOD TRIM Woodgrain Interior Trim BURMESTER SURROUND SOUND SYSTEM Premium Sound System LED LOGO PROJECTORS (SET OF 2) (PIO) COMFORT BOX (PIO) REAR SPOILER (PIO) Rear Spoiler 115V AC POWER OUTLET PANORAMA ROOF Generic Sun/Moonroof Sun/Moonroof Dual Moonroof AMG® LINE EXTERIOR 4-Wheel Disc Brakes Front Disc/Rear Drum Brakes LOWERED SUSPENSION W/SELECTIVE DAMPING SYSTEM BLACK HEADLINER PREMIUM 1 PACKAGE Keyless Start HD Radio Hands-Free Liftgate Satellite Radio Power Door Locks Keyless Entry Remote Trunk Release 12.3 WIDESCREEN INSTRUMENT CLUSTER REAR SEAT ENTERTAINMENT ILLUMINATED STAR (PIO) HEATED FRONT SEATS Split Bench Seat Heated Front Seat(s) Fixed Bench Seat Bucket Seats *Note - For third party subscriptions or services, please contact the dealer for more information. * You appreciate the finer things in life, the vehicle you drive should not be the exception. Style, performance, sophistication is in a class of its own with this stunning Mercedes-Benz E-Class. Simply put, this all wheel drive vehicle is engineered with higher standards. Enjoy improved steering, superior acceleration, and increased stability and safety while driving this AWD Mercedes-BenzE-Class E 300. Beautiful color combination with Polar White exterior over Macchiato Beige/Black interior making this the one to own! This 2019 Mercedes-Benz E-Class E 300 is offered to you for sale by Mercedes-Benz of Boerne. This Mercedes-Benz includes: HEATED FRONT SEATS Split Bench Seat Heated Front Seat(s) Fixed Bench Seat Bucket Seats BROWN ASH WOOD TRIM Woodgrain Interior Trim BLACK HEADLINER BLIND SPOT ASSIST Blind Spot Monitor WHEEL LOCKS (PIO) Wheel Locks EXTERIOR LIGHTING PACKAGE Automatic Headlights Daytime Running Lights Headlights-Auto-Leveling HEAD-UP DISPLAY Heads-Up Display LUNAR BLUE METALLIC ILLUMINATED STAR (PIO) COMFORT BOX (PIO) REAR SPOILER (PIO) Rear Spoiler REAR SEAT ENTERTAINMENT MACCHIATO BEIGE/BLACK, MB-TEX UPHOLSTERY Vinyl Seats Cloth Seats Leather Seats Premium Synthetic Seats 12.3 WIDESCREEN INSTRUMENT CLUSTER AMG® LINE EXTERIOR 4-Wheel Disc Brakes Front Disc/Rear Drum Brakes LED LOGO PROJECTORS (SET OF 2) (PIO) LOWERED SUSPENSION W/SELECTIVE DAMPING SYSTEM PREMIUM 1 PACKAGE Keyless Start HD Radio Hands-Free Liftgate Satellite Radio Power Door Locks Keyless Entry Remote Trunk Release PARKING ASSISTANCE PACKAGE Automatic Parking Back-Up Camera WHEELS: 19 AMG® TWIN 5-SPOKE Chrome Wheels Tires - Front Performance Aluminum Wheels Steel Wheels Tires - Rear Performance 115V AC POWER OUTLET BURMESTER SURROUND SOUND SYSTEM Premium Sound System *Note - For third party subscriptions or services, please contact the dealer for more information. * Pull up in the vehicle and the valet will want to parked on the front row. This Mercedes-Benz E-Class is the vehicle others dream to own. Don't miss your chance to make it your new ride. Beautiful color combination with Lunar Blue Metallic exterior over Macchiato Beige/Black interior making this the one to own! The Mercedes-Benz E-Class E 300 will provide you with everything you have always wanted in a car -- Quality, Reliability, and Character.This 2019 Mercedes-Benz E-Class E 300 is offered to you for sale by Mercedes-Benz of Boerne. This Mercedes-Benz includes: HEATED FRONT SEATS Split Bench Seat Heated Front Seat(s) Fixed Bench Seat Bucket Seats BROWN ASH WOOD TRIM Woodgrain Interior Trim BLACK HEADLINER BLIND SPOT ASSIST Blind Spot Monitor WHEEL LOCKS (PIO) Wheel Locks EXTERIOR LIGHTING PACKAGE Automatic Headlights Daytime Running Lights Headlights-Auto-Leveling HEAD-UP DISPLAY Heads-Up Display LUNAR BLUE METALLIC ILLUMINATED STAR (PIO) COMFORT BOX (PIO) REAR SPOILER (PIO) Rear Spoiler REAR SEAT ENTERTAINMENT MACCHIATO BEIGE/BLACK, MB-TEX UPHOLSTERY Vinyl Seats Cloth Seats Leather Seats Premium Synthetic Seats 12.3 WIDESCREEN INSTRUMENT CLUSTER AMG® LINE EXTERIOR 4-Wheel Disc Brakes Front Disc/Rear Drum Brakes LED LOGO PROJECTORS (SET OF 2) (PIO) LOWERED SUSPENSION W/SELECTIVE DAMPING SYSTEM PREMIUM 1 PACKAGE Keyless Start HD Radio Hands-Free Liftgate Satellite Radio Power Door Locks Keyless Entry Remote Trunk Release PARKING ASSISTANCE PACKAGE Automatic Parking Back-Up Camera WHEELS: 19 AMG® TWIN 5-SPOKE Chrome Wheels Tires - Front Performance Aluminum Wheels Steel Wheels Tires - Rear Performance 115V AC POWER OUTLET BURMESTER SURROUND SOUND SYSTEM Premium Sound System *Note - For third party subscriptions or services, please contact the dealer for more information. * Pull up in the vehicle and the valet will want to parked on the front row. This Mercedes-Benz E-Class is the vehicle others dream to own. Don't miss your chance to make it your new ride. Beautiful color combination with Lunar Blue Metallic exterior over Macchiato Beige/Black interior making this the one to own! The Mercedes-Benz E-Class E 300 will provide you with everything you have always wanted in a car -- Quality, Reliability, and Character. This outstanding example of a 2019 Mercedes-Benz E-Class E 300 is offered by Mercedes-Benz of Boerne. This Mercedes-Benz includes: BLIND SPOT ASSIST Blind Spot Monitor WHEEL LOCKS (PIO) Wheel Locks EXTERIOR LIGHTING PACKAGE Automatic Headlights Daytime Running Lights Headlights-Auto-Leveling HEAD-UP DISPLAY Heads-Up Display ILLUMINATED STAR (PIO) COMFORT BOX (PIO) REAR SPOILER (PIO) Rear Spoiler REAR SEAT ENTERTAINMENT MACCHIATO BEIGE/BLACK, MB-TEX UPHOLSTERY Vinyl Seats Cloth Seats Leather Seats Premium Synthetic Seats 12.3 WIDESCREEN INSTRUMENT CLUSTER AMG® LINE EXTERIOR 4-Wheel Disc Brakes Front Disc/Rear Drum Brakes LED LOGO PROJECTORS (SET OF 2) (PIO) PREMIUM 1 PACKAGE Keyless Start HD Radio Hands-Free Liftgate Satellite Radio Power Door Locks Keyless Entry Remote Trunk Release PARKING ASSISTANCE PACKAGE Automatic Parking Back-Up Camera WHEELS: 19 AMG® TWIN 5-SPOKE Chrome Wheels Tires - Front Performance Aluminum Wheels Steel Wheels Tires - Rear Performance 115V AC POWER OUTLET SELENITE GREY METALLIC BURMESTER SURROUND SOUND SYSTEM Premium Sound System *Note - For third party subscriptions or services, please contact the dealer for more information. * You deserve a vehicle designed for higher expectations. This Mercedes-Benz E-Class delivers with a luxurious, well-appointed interior and world-class engineering. The Mercedes-Benz E-Class E 300 will provide you with everything you have always wanted in a car -- Quality, Reliability, and Character. Just what you've been looking for. With quality in mind, this vehicle is the perfect addition to take home.This outstanding example of a 2019 Mercedes-Benz E-Class E 300 is offered by Mercedes-Benz of Boerne. This Mercedes-Benz includes: BLIND SPOT ASSIST Blind Spot Monitor WHEEL LOCKS (PIO) Wheel Locks EXTERIOR LIGHTING PACKAGE Automatic Headlights Daytime Running Lights Headlights-Auto-Leveling HEAD-UP DISPLAY Heads-Up Display ILLUMINATED STAR (PIO) COMFORT BOX (PIO) REAR SPOILER (PIO) Rear Spoiler REAR SEAT ENTERTAINMENT MACCHIATO BEIGE/BLACK, MB-TEX UPHOLSTERY Vinyl Seats Cloth Seats Leather Seats Premium Synthetic Seats 12.3 WIDESCREEN INSTRUMENT CLUSTER AMG® LINE EXTERIOR 4-Wheel Disc Brakes Front Disc/Rear Drum Brakes LED LOGO PROJECTORS (SET OF 2) (PIO) PREMIUM 1 PACKAGE Keyless Start HD Radio Hands-Free Liftgate Satellite Radio Power Door Locks Keyless Entry Remote Trunk Release PARKING ASSISTANCE PACKAGE Automatic Parking Back-Up Camera WHEELS: 19 AMG® TWIN 5-SPOKE Chrome Wheels Tires - Front Performance Aluminum Wheels Steel Wheels Tires - Rear Performance 115V AC POWER OUTLET SELENITE GREY METALLIC BURMESTER SURROUND SOUND SYSTEM Premium Sound System *Note - For third party subscriptions or services, please contact the dealer for more information. * You deserve a vehicle designed for higher expectations. This Mercedes-Benz E-Class delivers with a luxurious, well-appointed interior and world-class engineering. The Mercedes-Benz E-Class E 300 will provide you with everything you have always wanted in a car -- Quality, Reliability, and Character. Just what you've been looking for. With quality in mind, this vehicle is the perfect addition to take home. This outstanding example of a 2019 Mercedes-Benz E-Class E 300 is offered by Mercedes-Benz of Boerne. This Mercedes-Benz includes: HEATED FRONT SEATS Split Bench Seat Heated Front Seat(s) Fixed Bench Seat Bucket Seats BLACK HEADLINER BLIND SPOT ASSIST Blind Spot Monitor PANORAMA ROOF Generic Sun/Moonroof Sun/Moonroof Dual Moonroof EXTERIOR LIGHTING PACKAGE Automatic Headlights Daytime Running Lights Headlights-Auto-Leveling BLACK, MB-TEX UPHOLSTERY Vinyl Seats Cloth Seats Leather Seats Premium Synthetic Seats BLACK REAR SPOILER (PIO) Rear Spoiler NATURAL GRAIN BLACK ASH WOOD TRIM Woodgrain Interior Trim ILLUMINATED STAR (PIO) COMFORT BOX (PIO) REAR SEAT ENTERTAINMENT BLACK MIRROR HOUSING COVER (PIO) 12.3 WIDESCREEN INSTRUMENT CLUSTER AMG® LINE EXTERIOR 4-Wheel Disc Brakes Front Disc/Rear Drum Brakes LED LOGO PROJECTORS (SET OF 2) (PIO) LOWERED SUSPENSION W/SELECTIVE DAMPING SYSTEM PREMIUM 1 PACKAGE Keyless Start HD Radio Hands-Free Liftgate Satellite Radio Power Door Locks Keyless Entry Remote Trunk Release PARKING ASSISTANCE PACKAGE Automatic Parking Back-Up Camera WHEELS: 19 AMG® TWIN 5-SPOKE Chrome Wheels Tires - Front Performance Aluminum Wheels Steel Wheels Tires - Rear Performance 115V AC POWER OUTLET BURMESTER SURROUND SOUND SYSTEM Premium Sound System *Note - For third party subscriptions or services, please contact the dealer for more information. * Pull up in the vehicle and the valet will want to parked on the front row. This Mercedes-Benz E-Class is the vehicle others dream to own. Don't miss your chance to make it your new ride. You can finally stop searching... You've found the one you've been looking for. This is the one. Just what you've been looking for.This outstanding example of a 2019 Mercedes-Benz E-Class E 300 is offered by Mercedes-Benz of Boerne. This Mercedes-Benz includes: HEATED FRONT SEATS Split Bench Seat Heated Front Seat(s) Fixed Bench Seat Bucket Seats BLACK HEADLINER BLIND SPOT ASSIST Blind Spot Monitor PANORAMA ROOF Generic Sun/Moonroof Sun/Moonroof Dual Moonroof EXTERIOR LIGHTING PACKAGE Automatic Headlights Daytime Running Lights Headlights-Auto-Leveling BLACK, MB-TEX UPHOLSTERY Vinyl Seats Cloth Seats Leather Seats Premium Synthetic Seats BLACK REAR SPOILER (PIO) Rear Spoiler NATURAL GRAIN BLACK ASH WOOD TRIM Woodgrain Interior Trim ILLUMINATED STAR (PIO) COMFORT BOX (PIO) REAR SEAT ENTERTAINMENT BLACK MIRROR HOUSING COVER (PIO) 12.3 WIDESCREEN INSTRUMENT CLUSTER AMG® LINE EXTERIOR 4-Wheel Disc Brakes Front Disc/Rear Drum Brakes LED LOGO PROJECTORS (SET OF 2) (PIO) LOWERED SUSPENSION W/SELECTIVE DAMPING SYSTEM PREMIUM 1 PACKAGE Keyless Start HD Radio Hands-Free Liftgate Satellite Radio Power Door Locks Keyless Entry Remote Trunk Release PARKING ASSISTANCE PACKAGE Automatic Parking Back-Up Camera WHEELS: 19 AMG® TWIN 5-SPOKE Chrome Wheels Tires - Front Performance Aluminum Wheels Steel Wheels Tires - Rear Performance 115V AC POWER OUTLET BURMESTER SURROUND SOUND SYSTEM Premium Sound System *Note - For third party subscriptions or services, please contact the dealer for more information. * Pull up in the vehicle and the valet will want to parked on the front row. This Mercedes-Benz E-Class is the vehicle others dream to own. Don't miss your chance to make it your new ride. You can finally stop searching... You've found the one you've been looking for. This is the one. Just what you've been looking for. This 2019 Mercedes-Benz E-Class E 300 is proudly offered by Mercedes-Benz of Boerne This Mercedes-Benz includes: HEATED FRONT SEATS Split Bench Seat Heated Front Seat(s) Fixed Bench Seat Bucket Seats BROWN ASH WOOD TRIM Woodgrain Interior Trim BLACK HEADLINER BLIND SPOT ASSIST Blind Spot Monitor WHEEL LOCKS (PIO) Wheel Locks PANORAMA ROOF Generic Sun/Moonroof Sun/Moonroof Dual Moonroof EXTERIOR LIGHTING PACKAGE Automatic Headlights Daytime Running Lights Headlights-Auto-Leveling HEAD-UP DISPLAY Heads-Up Display ILLUMINATED STAR (PIO) COMFORT BOX (PIO) POLAR WHITE REAR SPOILER (PIO) Rear Spoiler REAR SEAT ENTERTAINMENT MACCHIATO BEIGE/BLACK, MB-TEX UPHOLSTERY Vinyl Seats Cloth Seats Leather Seats Premium Synthetic Seats 12.3 WIDESCREEN INSTRUMENT CLUSTER AMG® LINE EXTERIOR 4-Wheel Disc Brakes Front Disc/Rear Drum Brakes LED LOGO PROJECTORS (SET OF 2) (PIO) LOWERED SUSPENSION W/SELECTIVE DAMPING SYSTEM PREMIUM 1 PACKAGE Keyless Start HD Radio Hands-Free Liftgate Satellite Radio Power Door Locks Keyless Entry Remote Trunk Release PARKING ASSISTANCE PACKAGE Automatic Parking Back-Up Camera WHEELS: 19 AMG® TWIN 5-SPOKE Chrome Wheels Tires - Front Performance Aluminum Wheels Steel Wheels Tires - Rear Performance 115V AC POWER OUTLET BURMESTER SURROUND SOUND SYSTEM Premium Sound System *Note - For third party subscriptions or services, please contact the dealer for more information. * There's a level of quality and refinement in this Mercedes-Benz E-Class that you won't find in your average vehicle. The Mercedes-Benz E-Class E 300 will provide you with everything you have always wanted in a car -- Quality, Reliability, and Character. Just what you've been looking for. With quality in mind, this vehicle is the perfect addition to take home.This 2019 Mercedes-Benz E-Class E 300 is proudly offered by Mercedes-Benz of Boerne This Mercedes-Benz includes: HEATED FRONT SEATS Split Bench Seat Heated Front Seat(s) Fixed Bench Seat Bucket Seats BROWN ASH WOOD TRIM Woodgrain Interior Trim BLACK HEADLINER BLIND SPOT ASSIST Blind Spot Monitor WHEEL LOCKS (PIO) Wheel Locks PANORAMA ROOF Generic Sun/Moonroof Sun/Moonroof Dual Moonroof EXTERIOR LIGHTING PACKAGE Automatic Headlights Daytime Running Lights Headlights-Auto-Leveling HEAD-UP DISPLAY Heads-Up Display ILLUMINATED STAR (PIO) COMFORT BOX (PIO) POLAR WHITE REAR SPOILER (PIO) Rear Spoiler REAR SEAT ENTERTAINMENT MACCHIATO BEIGE/BLACK, MB-TEX UPHOLSTERY Vinyl Seats Cloth Seats Leather Seats Premium Synthetic Seats 12.3 WIDESCREEN INSTRUMENT CLUSTER AMG® LINE EXTERIOR 4-Wheel Disc Brakes Front Disc/Rear Drum Brakes LED LOGO PROJECTORS (SET OF 2) (PIO) LOWERED SUSPENSION W/SELECTIVE DAMPING SYSTEM PREMIUM 1 PACKAGE Keyless Start HD Radio Hands-Free Liftgate Satellite Radio Power Door Locks Keyless Entry Remote Trunk Release PARKING ASSISTANCE PACKAGE Automatic Parking Back-Up Camera WHEELS: 19 AMG® TWIN 5-SPOKE Chrome Wheels Tires - Front Performance Aluminum Wheels Steel Wheels Tires - Rear Performance 115V AC POWER OUTLET BURMESTER SURROUND SOUND SYSTEM Premium Sound System *Note - For third party subscriptions or services, please contact the dealer for more information. * There's a level of quality and refinement in this Mercedes-Benz E-Class that you won't find in your average vehicle. The Mercedes-Benz E-Class E 300 will provide you with everything you have always wanted in a car -- Quality, Reliability, and Character. Just what you've been looking for. With quality in mind, this vehicle is the perfect addition to take home. Mercedes-Benz of Boerne is excited to offer this 2019 Mercedes-Benz E-Class. This Mercedes-Benz includes: WHEELS: 19 AMG® TWIN 5-SPOKE Chrome Wheels Tires - Front Performance Aluminum Wheels Steel Wheels Tires - Rear Performance BLIND SPOT ASSIST Blind Spot Monitor BURMESTER SURROUND SOUND SYSTEM Premium Sound System LED LOGO PROJECTORS (SET OF 2) (PIO) COMFORT BOX (PIO) REAR SPOILER (PIO) Rear Spoiler 115V AC POWER OUTLET BURL WALNUT WOOD TRIM Woodgrain Interior Trim EXTERIOR LIGHTING PACKAGE Automatic Headlights Daytime Running Lights Headlights-Auto-Leveling AMG® LINE EXTERIOR 4-Wheel Disc Brakes Front Disc/Rear Drum Brakes LOWERED SUSPENSION W/SELECTIVE DAMPING SYSTEM BLACK HEADLINER PREMIUM 1 PACKAGE Keyless Start HD Radio Hands-Free Liftgate Satellite Radio Power Door Locks Keyless Entry Remote Trunk Release 12.3 WIDESCREEN INSTRUMENT CLUSTER REAR SEAT ENTERTAINMENT ILLUMINATED STAR (PIO) WOOD/LEATHER STEERING WHEEL Leather Steering Wheel HEATED FRONT SEATS Split Bench Seat Heated Front Seat(s) Fixed Bench Seat Bucket Seats *Note - For third party subscriptions or services, please contact the dealer for more information. * There's a level of quality and refinement in this Mercedes-Benz E-Class that you won't find in your average vehicle. This AWD-equipped vehicle handles well in any weather condition or terrain. You'll benefit from superb handling, improved steering and excellent acceleration. The look is unmistakably Mercedes-Benz, the smooth contours and cutting-edge technology of this Mercedes-Benz E-Class E 300 will definitely turn heads.Mercedes-Benz of Boerne is excited to offer this 2019 Mercedes-Benz E-Class. This Mercedes-Benz includes: WHEELS: 19 AMG® TWIN 5-SPOKE Chrome Wheels Tires - Front Performance Aluminum Wheels Steel Wheels Tires - Rear Performance BLIND SPOT ASSIST Blind Spot Monitor BURMESTER SURROUND SOUND SYSTEM Premium Sound System LED LOGO PROJECTORS (SET OF 2) (PIO) COMFORT BOX (PIO) REAR SPOILER (PIO) Rear Spoiler 115V AC POWER OUTLET BURL WALNUT WOOD TRIM Woodgrain Interior Trim EXTERIOR LIGHTING PACKAGE Automatic Headlights Daytime Running Lights Headlights-Auto-Leveling AMG® LINE EXTERIOR 4-Wheel Disc Brakes Front Disc/Rear Drum Brakes LOWERED SUSPENSION W/SELECTIVE DAMPING SYSTEM BLACK HEADLINER PREMIUM 1 PACKAGE Keyless Start HD Radio Hands-Free Liftgate Satellite Radio Power Door Locks Keyless Entry Remote Trunk Release 12.3 WIDESCREEN INSTRUMENT CLUSTER REAR SEAT ENTERTAINMENT ILLUMINATED STAR (PIO) WOOD/LEATHER STEERING WHEEL Leather Steering Wheel HEATED FRONT SEATS Split Bench Seat Heated Front Seat(s) Fixed Bench Seat Bucket Seats *Note - For third party subscriptions or services, please contact the dealer for more information. * There's a level of quality and refinement in this Mercedes-Benz E-Class that you won't find in your average vehicle. This AWD-equipped vehicle handles well in any weather condition or terrain. You'll benefit from superb handling, improved steering and excellent acceleration. The look is unmistakably Mercedes-Benz, the smooth contours and cutting-edge technology of this Mercedes-Benz E-Class E 300 will definitely turn heads. Contact Mercedes-Benz of Boerne today for information on dozens of vehicles like this 2019 Mercedes-Benz E-Class E 300. This Mercedes-Benz includes: BURL WALNUT WOOD TRIM Woodgrain Interior Trim NIGHT PACKAGE BLACK HEADLINER HEATED & VENTILATED FRONT SEATS Cooled Front Seat(s) Split Bench Seat Heated Front Seat(s) Fixed Bench Seat Bucket Seats PANORAMA ROOF Generic Sun/Moonroof Sun/Moonroof Dual Moonroof EXTERIOR LIGHTING PACKAGE Automatic Headlights Daytime Running Lights Headlights-Auto-Leveling COMFORT BOX (PIO) REAR SPOILER (PIO) Rear Spoiler REAR SEAT ENTERTAINMENT AMG® LINE EXTERIOR 4-Wheel Disc Brakes Front Disc/Rear Drum Brakes LED LOGO PROJECTORS (SET OF 2) (PIO) LOWERED SUSPENSION W/SELECTIVE DAMPING SYSTEM PREMIUM 1 PACKAGE Keyless Start HD Radio Hands-Free Liftgate Satellite Radio Power Door Locks Keyless Entry Remote Trunk Release WHEELS: 19 AMG® TWIN 5-SPOKE W/BLACK ACCENTS Chrome Wheels Tires - Front Performance Aluminum Wheels Steel Wheels Tires - Rear Performance PARKING ASSISTANCE PACKAGE Automatic Parking Back-Up Camera DRIVER ASSISTANCE PACKAGE Brake Assist Adaptive Cruise Control Cruise Control 115V AC POWER OUTLET BURMESTER SURROUND SOUND SYSTEM Premium Sound System *Note - For third party subscriptions or services, please contact the dealer for more information. * There's a level of quality and refinement in this Mercedes-Benz E-Class that you won't find in your average vehicle. The Mercedes-Benz E-Class E 300 will provide you with everything you have always wanted in a car -- Quality, Reliability, and Character. This is about the time when you're saying it is too good to be true, and let us be the one's to tell you, it is absolutely true.Contact Mercedes-Benz of Boerne today for information on dozens of vehicles like this 2019 Mercedes-Benz E-Class E 300. This Mercedes-Benz includes: BURL WALNUT WOOD TRIM Woodgrain Interior Trim NIGHT PACKAGE BLACK HEADLINER HEATED & VENTILATED FRONT SEATS Cooled Front Seat(s) Split Bench Seat Heated Front Seat(s) Fixed Bench Seat Bucket Seats PANORAMA ROOF Generic Sun/Moonroof Sun/Moonroof Dual Moonroof EXTERIOR LIGHTING PACKAGE Automatic Headlights Daytime Running Lights Headlights-Auto-Leveling COMFORT BOX (PIO) REAR SPOILER (PIO) Rear Spoiler REAR SEAT ENTERTAINMENT AMG® LINE EXTERIOR 4-Wheel Disc Brakes Front Disc/Rear Drum Brakes LED LOGO PROJECTORS (SET OF 2) (PIO) LOWERED SUSPENSION W/SELECTIVE DAMPING SYSTEM PREMIUM 1 PACKAGE Keyless Start HD Radio Hands-Free Liftgate Satellite Radio Power Door Locks Keyless Entry Remote Trunk Release WHEELS: 19 AMG® TWIN 5-SPOKE W/BLACK ACCENTS Chrome Wheels Tires - Front Performance Aluminum Wheels Steel Wheels Tires - Rear Performance PARKING ASSISTANCE PACKAGE Automatic Parking Back-Up Camera DRIVER ASSISTANCE PACKAGE Brake Assist Adaptive Cruise Control Cruise Control 115V AC POWER OUTLET BURMESTER SURROUND SOUND SYSTEM Premium Sound System *Note - For third party subscriptions or services, please contact the dealer for more information. * There's a level of quality and refinement in this Mercedes-Benz E-Class that you won't find in your average vehicle. The Mercedes-Benz E-Class E 300 will provide you with everything you have always wanted in a car -- Quality, Reliability, and Character. This is about the time when you're saying it is too good to be true, and let us be the one's to tell you, it is absolutely true. 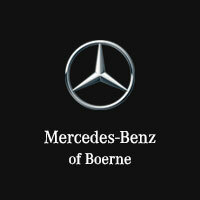 Critically-acclaimed, this is the most advanced Mercedes-Benz E-Class Sedan of all time. As you drive, a 12.3-inch screen displays everything from navigation to infotainment, and a touchpad controller reads anything from finger taps to handwriting. Finely tailored front seats are available with massage, heating, and ventilation, and 64-color LED ambience accents exotic wood trim and upscale materials. Pair your smartphone using Apple CarPlay/Android Auto, keep it charged with wireless charging, or stay connected regardless using the 4G LTE Wi-Fi hotspot. Underpinning everything is a 2.0L inline-4 turbo engine and 9G-TRONIC automatic transmission able to combine searing performance with sophisticated efficiency. You’ll never pass a Mercedes-Benz E-Class Sedan across the roads of Kerrville and Fredericksburg without wondering how it feels to sit behind the wheel. Contact us today to arrange a test drive or apply for financing.